According to the National Highway Traffic Safety Administration, from 1987 to 2015, frontal air bags saved 44,869 lives throughout the United States. 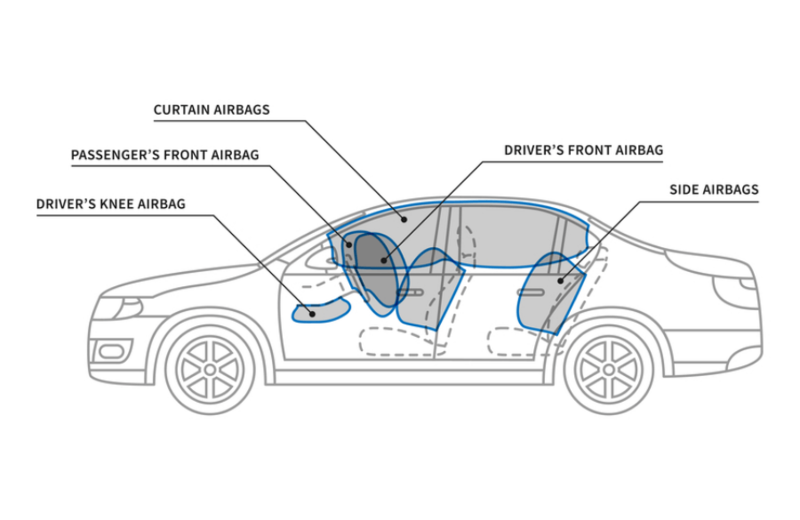 The purpose of an airbag is to help the vehicle operator and passengers reduce their speed when in a collision without receiving fatal or life-changing injuries. While the ultimate goal of an airbag is to eliminate the possibility of injury altogether, those who have been involved in an auto collision will be the first to tell you slamming into an airbag can still be painful. When a vehicle collides with another object, it will start to decelerate extremely rapidly. The amount of which a collided vehicle will decelerate will depend on how fast the vehicle was traveling before impact. Within your vehicle is a component known as an accelerometer. It is an electronic component that measures acceleration or force and can be used to detect the change of speed. If the accelerometer detects a sudden and unusual deceleration, it will trigger the airbag circuit, which causes heating elements within your vehicle to ignite a chemical explosive. This explosive begins to burn, thus generating enormous amounts of nitrogen/argon gas that floods into the nylon bags packed within your vehicle, or the airbags. The driver and passengers will quickly move forward as a result of the impact, slamming into the airbag rather than the steering wheel or front windshield. While it may be painful to hit the airbag for many, the alternative of being ejected from the vehicle (given your seatbelt is not securely fastened as well) sounds much worse in the end. My Airbag Light Just Came on – Why? If you notice your airbag light flashing or that the service airbag light is engaged, there are several reasons that could be causing the airbag light to illuminate. If the airbag light stays on, it’s most likely that a malfunction has been detected by your vehicle. These potential malfunctions detected can be caused by both human error and physical component defects. The airbag warning light warns of potential issues with the actual airbag itself, the seatbelt system, the vehicle’s computer system or wiring throughout the vehicle. If the airbag itself and/or the components that make up the airbag system are faulty, you will absolutely be presented with a Check Airbag Light. If you are driving an older vehicle, it’s possible that your vehicle’s clock spring, a rotary electrical connector that allows the steering wheel to turn while remaining connected to the airbag, horn, and electrical system, is damaged. The airbag will not deploy if your vehicle’s clock spring is damaged. If crumbs, debris or even coins make their way into the seatbelt switch, it will physically block the seatbelt from securely fastening into the switch; thus, the system which monitors whether your seatbelt is securely fastened or not will determine that the driver is not properly wearing his or her seatbelt. It is possible that even if you are securely fastening your seatbelt, a vehicle with a malfunctioning computer system will typically have trouble detecting not only a secured seatbelt but many other systems throughout the vehicle itself. If there is an issue with the computer, it’s very possible that you will be presented with other false-positive dashboard indicator lights as well. It is extremely common for many to accidentally damage the wiring that is hidden underneath their seat. It can be easy to damage these wires if something becomes stuck underneath or if you roughly retrieve something that has fallen underneath. Damaged wires can cause a vehicle’s computer system to malfunction. Ensure all components are plugged in. You must plug in any unplugged components within the dashboard before attempting to reset the airbag light. Switch on your ignition. Once you switch on your vehicle’s ignition and prepare a watch or timer in order to time the airbag light. Time the airbag light. Your airbag light will remain on for seven seconds once it initially illuminates. Once it turns off, you will have one second to switch off the ignition. Switch on the ignition after 3 seconds. After three seconds have passed, switch your ignition back on. The system will alert you of a successful reset if your airbag light comes on and turns off. If you find the airbag symbol flashing, this indicates that the airbag light reset was unsuccessful. 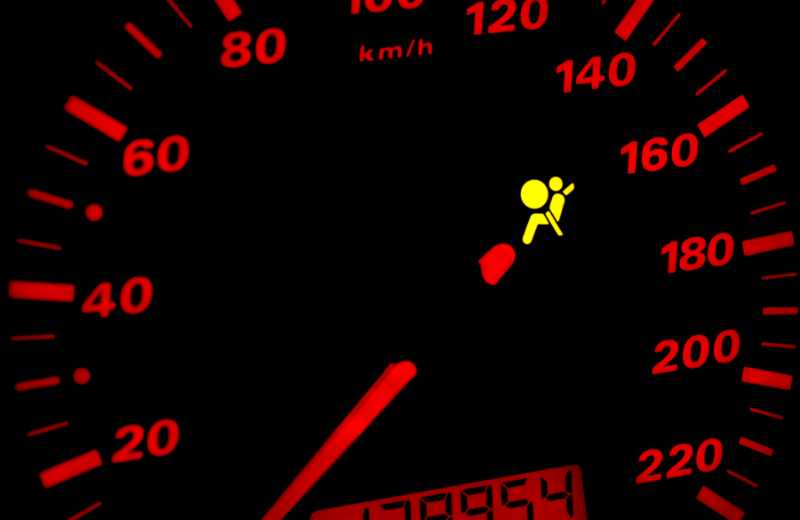 If the airbag warning light stays on or if there is no airbag light at all, repeat the process up to two more times. If you still discover that the airbag light won’t go off, it is likely that the issue causing your airbag light to remain on is more severe and cannot be fixed by resetting the service airbag light itself. This issue would need to be fixed by a professional, check out our saver’s club to see if you can save money on repairs!